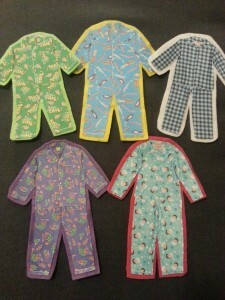 We used this flannel in a Pyjama Storytime along with a great song called Pyjama Party. This storytime activity uses repetition, number sequencing, and is just a blast to sing! A big thank you to our co-worker Miranda Mallinson for sharing the flannel and song with us. These flannel pieces were easy to make. 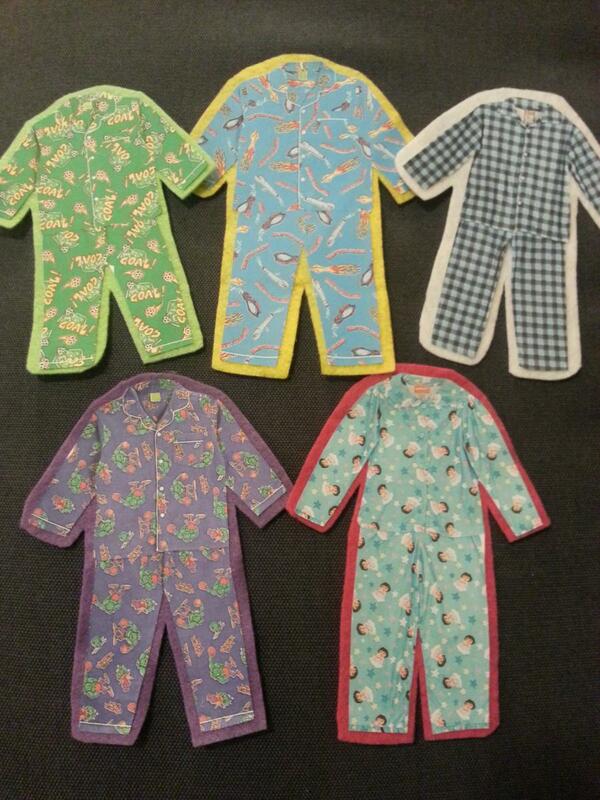 All we did was print five sets of PJ’s from Miranda’s template and stick ’em to some colourful flannel. Voila! And here’s a video showing how to sing the Pyjama Party song. For the full Flannel Friday round up this week, check out Lisa’s blog Libraryland. For more Flannel Friday ideas, click on the Flannel Friday Button in our sidebar. The Bell Awards Blog Tour: Sing! We are so excited to be joining the Bell Awards Blog Tour today! In this post we’ll be featuring our favorite picture books that support the early literacy skill of singing. Singing is not only crucial for language development, but we also think it’s super fun! It slows down language for kids, breaks words into smaller sounds, and helps them distinguish similar sounding words. Singing never stops being important – from newborns to teens, the benefits abound. 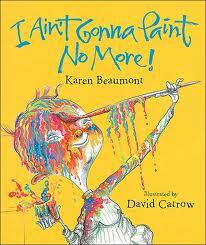 To see an expanded list of our favourites, check out our Storytime Books to Sing Pinterest board. 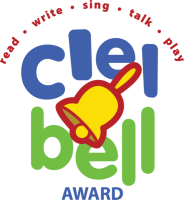 So what are the Bell Awards? 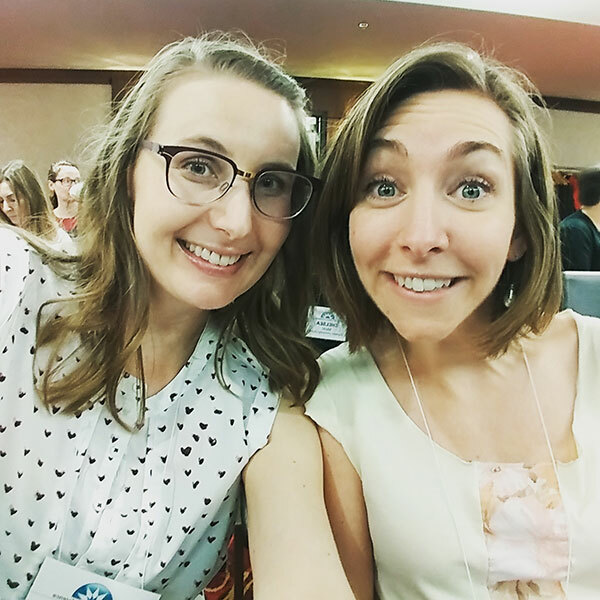 As Melissa Depper aptly states, “The Bell Awards are designed to support parents, caregivers, librarians, and early childhood professionals by celebrating great picture books that model and inspire the early literacy practices of reading, writing, singing, talking, and playing with young children. You can join in and share your expertise with your colleagues by nominating titles and adding to the conversation on the CLEL blog.” See the end of our post for more information about joining the conversation. In this hilarious take on “The Wheels on the Bus,” join a family as they experience a true menagerie of exotic animal sounds. Hiss along with the vipers, honk with the geese, and arp with the seals. Parents appreciate the familiar tune, while kids delight in the silliness of the sounds and illustrations. The new host of animal sounds results in a rich phonological experience. Our runner-up for a “Wheels on the Bus” spin-off is The Babies on the Bus because who can resist Karen Katz’s round-faced tots?! Take that piece of grass out of your teeth because your gonna need to get your twang on for this one! We’ll forgive the questionable illustrations because this book, based on a traditional folk song, has so many other redeeming qualities. Not only can you sing along with ease, Beaumont uses a suspended rhyme scheme pattern which encourages kids to guess the rhyming end word for each verse of the song. Excellent for making predictions based on rhyme and sound, this book follows a young child on his (or her) colorful journey of artistic expression. We may not be on the third planet from the sun anymore, but actor John Lithgow still delivers an infectious tale of two dogs, Fanny and Blue. Families with dogs will easily relate to the shenanigans of Fanny and Blue as the narrator describes their personalities. 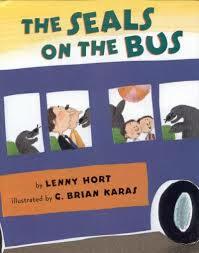 In addition to the great rhythm, Lithgow includes playful language that encourages kids to stretch words (i.e. “Whooooooooooo”). You don’t have to sing this book, but you may find the book starts to sing itself. 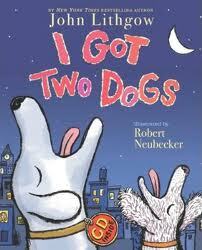 This is author Julia Donaldson’s best known tale, and for good reason. 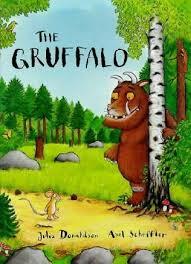 The Gruffalo is a hilarious story told all in seamless rhyme in which a mouse out-smarts all the creatures of the forest, including the gruffalo with his “terrible claws and terrible teeth in his terrible jaws”. The magic of Donaldson’s narrative is the repetitive and rhythmic frame which allows even the very young to participate. With each animal however, the vocabulary changes slightly to challenge readers with more unusual words. This book has developed into a songbook and several accompanying titles because it’s so delightfully pleasing to read, chant or sing! 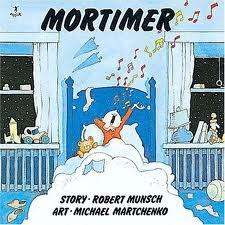 We’d be remiss if we didn’t include one of Canada’s greatest children’s authors, Robert Munsch! In this tale, a young boy named Mortimer is determined to “make my noise all day” no matter how many of his family members tell him to be quiet. The repetition of sounds, such as the “whap, whap” of the footsteps on the stairs, makes it easy for children to participate in the telling and retelling of the story. We also love how singing is incorporated into the daily life of a family, though Munsch gives us an ironic version of a “lullaby.” Best of all, families can personalize this book by inserting their child’s name and his or her family members into the bedtime tale. And those are our favorite books that encourage singing in pre-readers. Now it’s your turn! If you have favorites that have been published in 2013, nominate them for the 2014 CLEL Blog Awards. Nominations are accepted up until November 15th and the winners are announced February 15, 2014. Here’s how! And don’t miss the other stops on the Bell Awards Blog Tour!